November’s Big Blue Door Jam will be a double-feature! 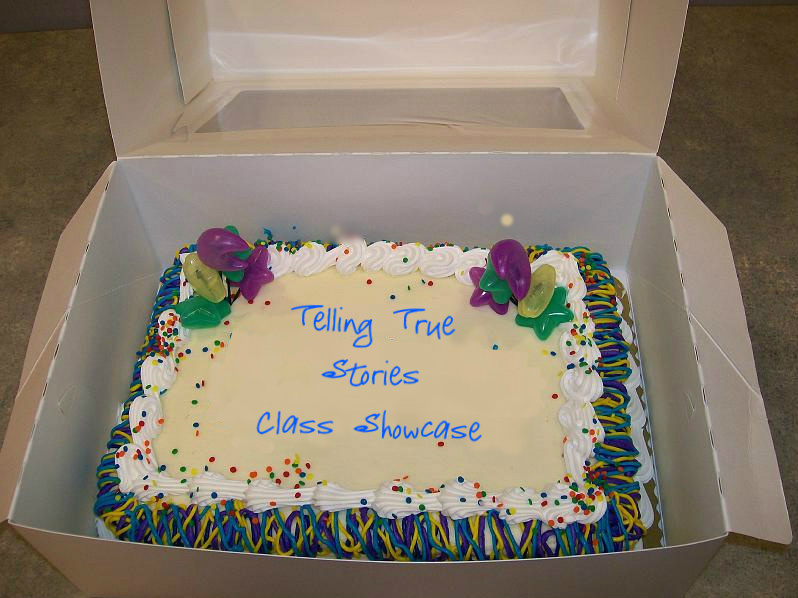 The Jam starts at 8 pm, but come early for our Telling True Stories class showcase. Admission to the class showcase part is free! Thursday, Nov 15th at 7:15 pm for the Telling True Stories class showcase at The Bridge. This class has been meeting at the Park School since the end of September and each graduate will present one of their best stories. 7:15 at The Bridge for the class showcase and stay afterwards for the Big Blue Door Jam at 8!